Doerak (Sander 269 x Lammert) - 25 years young! 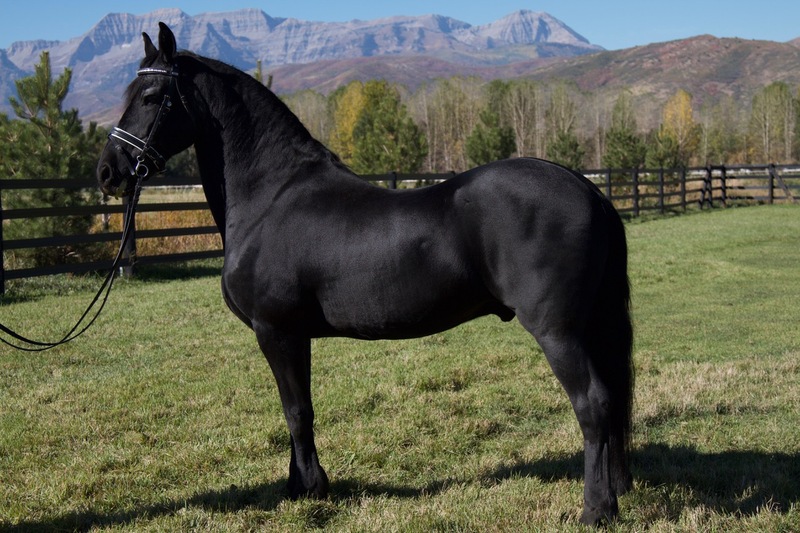 Our love for the Friesian breed has existed for over 43 years and we were proud to bring the first Friesian into the state of Utah nearly 30 years ago. 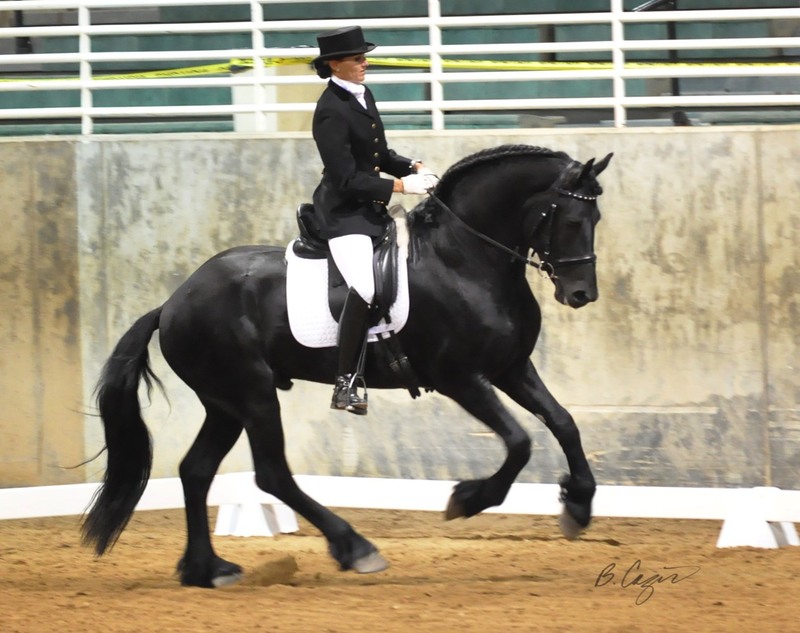 Our focus is on producing the finest Friesians for dressage, and all of our horses possess a willing, intelligent personality as well as exceptional movement. We are proud to have as our trainers Judith Pietersen from Friesland and Margo Gogan from Utah. 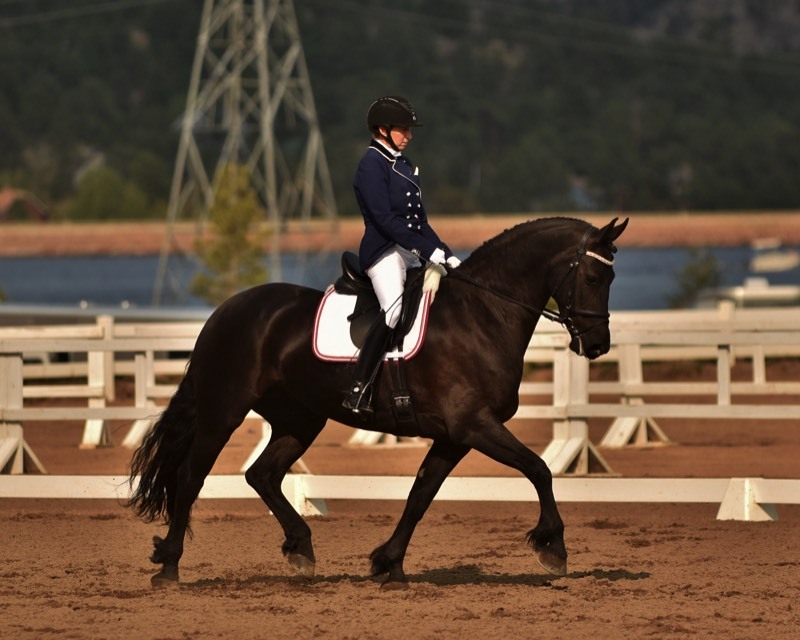 Judith is a renown Friesian trainer, rider, judge and clinician who has competed in and won prestigious competitions in Europe against talented warmbloods. 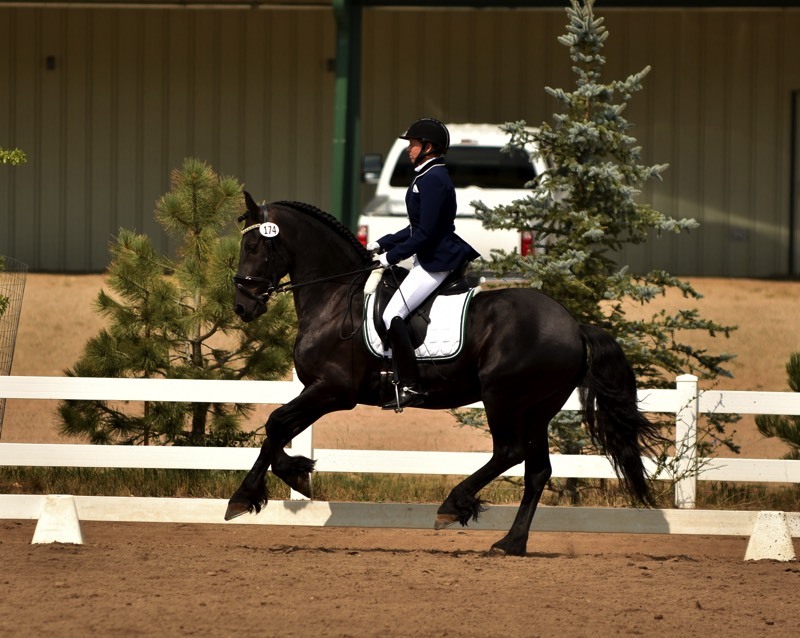 Margo is a USDF gold medal rider and trainer who has taken many young horses to the Grand Prix level. Under their guidance our horses have won numerous awards, both locally and nationally. We are also extremely lucky to have our horses receive training from some of the top clinicians out there; including Melissa Creswick, and Debbie McDonald. In 2012, we imported the 5 year old stallion Ype (pronounced E-Pa) (Tsjabring 429 Sport x Naen 264 Preferent). In his short career in the Netherlands, this exceptional stallion was able to qualify for the finals of the Subli-Cup (the Netherlands equivalent to the FEI 5 year old test) with only three rides out of seven rides possible. Even though his move to the USA prevented him from participating in the finals, his high scores enabled him to finish 6th out of a field of 67 warmbloods. Ype also received the highest score ever achieved by a Friesian in the Subli Cup - 80.2%. His debut in the USA was equally impressive, with scores in the 70's at Second and Third Level. We are very excited to see the talents this impressive stallion can bring to the Friesian breed. We are excited to be having Judith Pietersen coming to our facility once again for a clinic! Her timing couldn't be better for us as it gives us the opportunity to get her invaluable feedback right before our first show of the season. Starting this spring, Black Magic Farms is pleased to have the amazing Todd Howard coming on a regular basis to work with our two year old filly, Easabelle. He will be starting her under saddle once she turns three, so this ground work will help that process go very smoothly. Ype and I had the wonderful opportunity to ride in a clinic with Dawn White-O'Connor, who works with Olympian Stefan Peters. It was a great training session with lots of feedback as to how we can get him to be more relaxed when doing lateral movements. 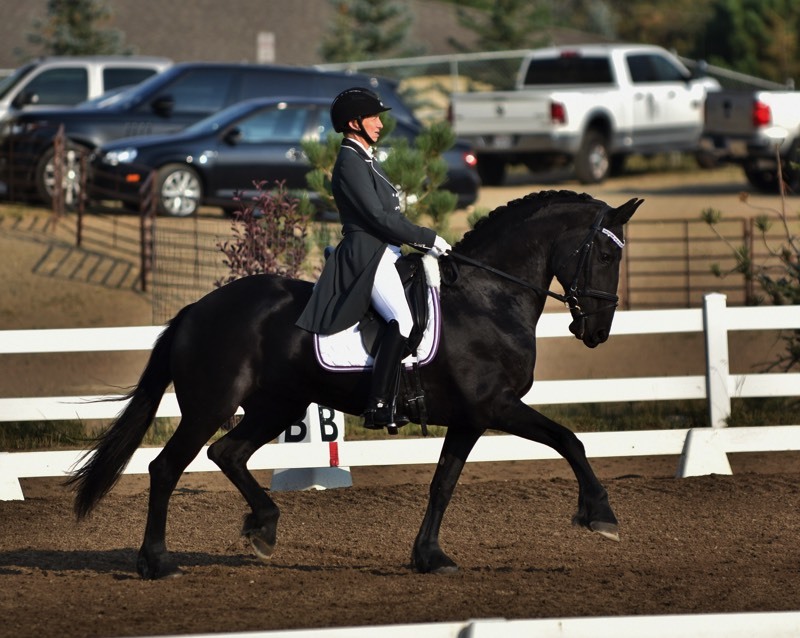 Black Magic Farms is pleased to announce the latest addition to our barn - Wyberen van de Handemann (Maurits 437 Sport x Krist 358) - a gorgeous, talented three year old stallion! He will stay in the Netherlands to train with Judith Pietersen for the time being. We are also pleased to announce that Alison Weller has accepted the position of Barn Assistant. Alison has a long history of working with horses and other animals and we are excited to have her join our team. We will be heading over to Friesland towards the end of the month to look at several young stallions for sale. We are exciting to be adding new talent to our barn! We will be ready to hit the road next year with shows in Idaho, Colorado and possibly Wyoming. Unlike last year, we are planning on trying for qualifying scores to make it to championship in Colorado in the fall. Stay tuned for updates on how we did. Judith Pietersen is coming over from the Netherlands to work with our horses for a few days. We always learn so much and make immense improvement while she is here. We can't thank her enough for enduring a 10 hour plane flight to come and see us! While we were unable to attend as many shows as we wanted to this year (due to injuries - both human and horse), we were able to make it to several in Colorado. We were pleased that our decision to take 2017 off for training (and foaling) definitely paid off! With just a few exceptions all of the horses placed either first or second in their classes. Xena Kismet came within a half of point of earning our second score for a silver medal. As she is close to retiring, we hope that we achieve this milestone together as we have come so far together as a team. Ype won all of his classes at fourth level with scores in the high 60's. Lucia moved up to first level and did not disappoint, placing first or second in all but one of her classes with scores in the mid to high 60's. And our little Braegho moved up to second level and placed first and second in all of his classes with scores in the mid 60's! It's a filly!! The long anticipated breeding of Ype to our beautiful Lucia has produced one of the most beautiful foals we have ever seen. She is going to be a stunner and to watch her cavorting around the pasture with her surrogate mom, you can see she has all the immense talent possessed by both her sire and dam.